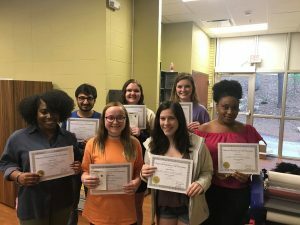 The National Residence Hall Honorary (NRHH), a sister organization to RHA, is an honor society for students living on campus. Members of NRHH share the organization’s core values: service and recognition. Connect with NRHH on Facebook for the latest information and announcements. Students who are interested in joining complete an application and selection process. A minimum cumulative grade point average of 2.50 is required for membership consideration. NRHH recognizes accomplishments in our communities through Of the Month Awards. Any resident or student housing staff member may submit a suggestion for an Of the Month Award.